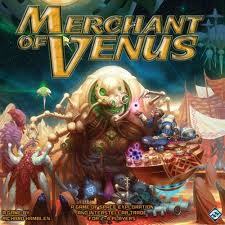 It looks like there is movement on the reprint of Merchant of Venus. Both Fantasy Flight and Stronghold Games announced a reprint of this classic board game last fall. The game was scheduled for release in March 2012. Due to confusion over which company was really going to publish, things got delayed. On June 27th it was announced that Fantasy Flight will publish the game with Stronghold Games acting as a consultant. There will be two versions of the game, both the original classic game and an updated new game based on the original. The target for publication is Fall 2012.